Blake Gailen had one of the greatest Independent seasons ever. In 2004, Daniel Nava, now of the Boston Red Sox, was a member of the Chico Outlaws of the Golden Baseball League (now the North American Baseball League). That was by far one of the greatest seasons ever, until now. Gailen, just like Nava, has taken the long, hard road into affiliated baseball. Coming out of UNLV, Gailen went undrafted, not uncommon for a 5'9", 180-lb outfielder batting .298 with five home runs. But every once in a while a talent goes unnoticed, and sometime, somewhere down the line, his abilities mature, his skills improve and size is no longer an issue. Five years removed as a “Runnin’ Rebel,” and he is one of the most prolific hitters in the league’s history. In 122 games for the Lancaster Barnstormers, Gailen’s line was like something out of a video game. All-around player pretty much sums it up: .338/.415/.534, with 26 doubles, three triples, 22 home runs, 89 RBI and 25 stolen bases. Those numbers translated into something quite astonishing: three MVPs. Gailen was voted the team’s MVP by the fans, earned the Atlantic League MVP award and was named Baseball America’s Independent Player of the Year. On top of all the accolades, Gailen won the Atlantic League batting title with his .338 average, making this his second consecutive title. In 2011, he won the batting title as a member of the Lincoln Salt Dogs of the American Association with a league-leading .406 average, bringing his career average to .340. It really makes you wonder how a player with so much talent can’t seem to cross that line from Indy ball to the next level. Gailen briefly had the opportunity to test the waters when the Los Angeles Angels signed him to a minor league contract in 2011. As a member of the Arkansas Travelers, the Angels' Double-A affiliate, Gailen appeared in 29 games, batting .208 with two home runs and 18 RBI. It’s very rare when you get a second chance at something you love. 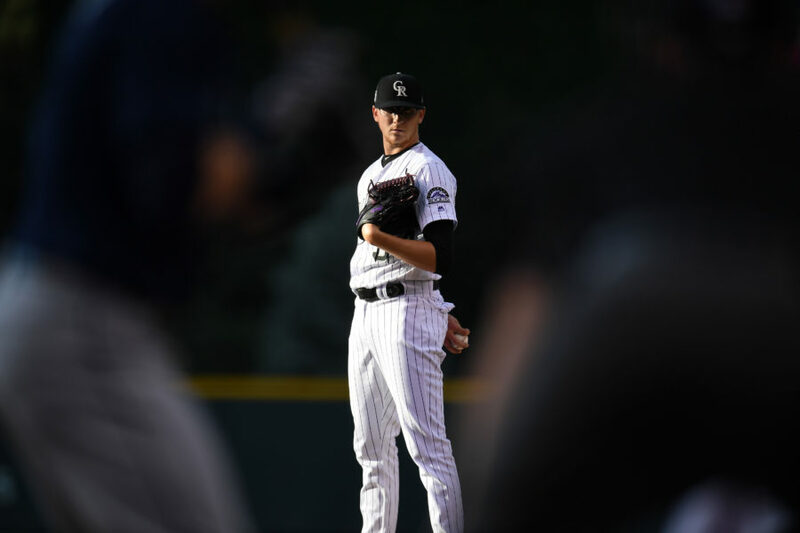 But Gailen now has the chance to flourish with the Rockies organization. And if his story has proven anything, it’s that he will not give up. Butch Hobson, Gailen’s coach with the Barnstormers, was recently quoted in an interview on the team's website. He is quite confident that the Rockies have a great player on their hands. And he is certain he will be just fine. "He does everything well," Hobson said. "He's not the biggest guy and they sometimes talk about a guy's size. But size is what's in your heart and what you feel you can do. And he's one of those special people that plays from his heart, (physical) stature doesn't mean anything for him. "The guy's a ballplayer in all aspects of the game," Hobson said. "He gets the most out of everything he's got. And I think he's going to do great." Devon is a manager at a financial institution in Northern Ontario, Canada, and can be reached at devon@thegmsperspective.com. You can follow The GM's Perspective on Twitter and Facebook. His full bio can be seen here.